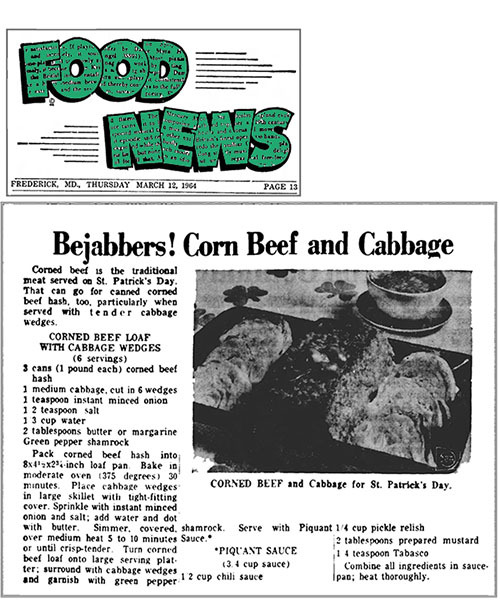 Corn Beef circa 1964. Don’t forget the Piquant Sauce! I wish I had a green car for this sweet deal. 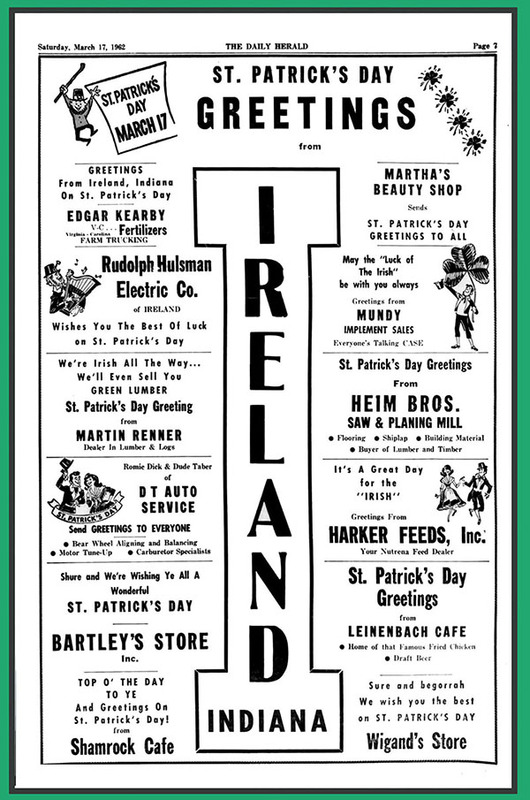 Ireland, Indiana is an unincorporated community located in the southwest corner of the state right by Kentucky. From Wikipedia, The town was founded on land purchased from the United States government by John Stewart, a native of Ireland, on December 23, 1816.The town was laid out by John Stewart’s son James, and four others. The first town map is dated May 20, 1865, but had been a small village many years before that. 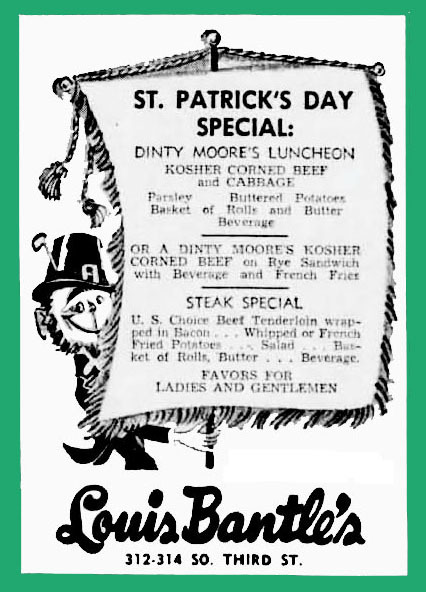 This ad is from 1962. I’m hoping that this Dinty Moore lunch is not out of a can. 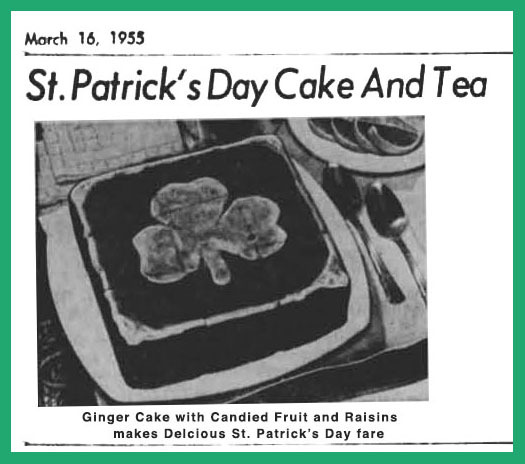 Unfortunately this article from 1955 did not come with the recipe. 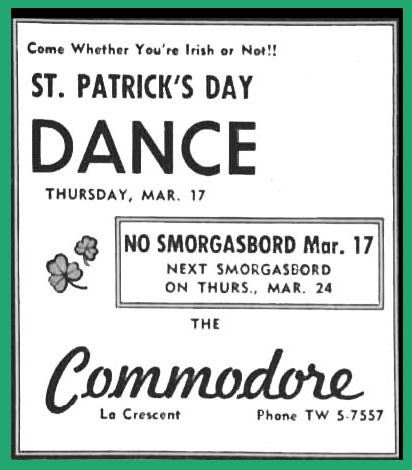 Let’s be clear, there will be dancing but there Will Not be a smorgasbord. Talk about an ethnic mashup. Anyone hear of Andeker beer? Andeker was introduced as an all-malt beer in 1939 by Pabst, as an Andecher-style beer, a reference to a beer style brewed by Munich monks. It was brewed into the mid-1960’s, and again produced from 1972-1986. The brand name and logo was trademarked by Pabst in August of 1938, renewed, and is still held by Pabst. Here’s a photo of one of their beer cans courtesy of HandySam on Etsy who makes these cool wall mounted bottle openers. And finally I just love this ad from an 1966 issue of the Montana Standard Post, a paper that was published in Butte, Montana. Check out the number of bars in this small town. 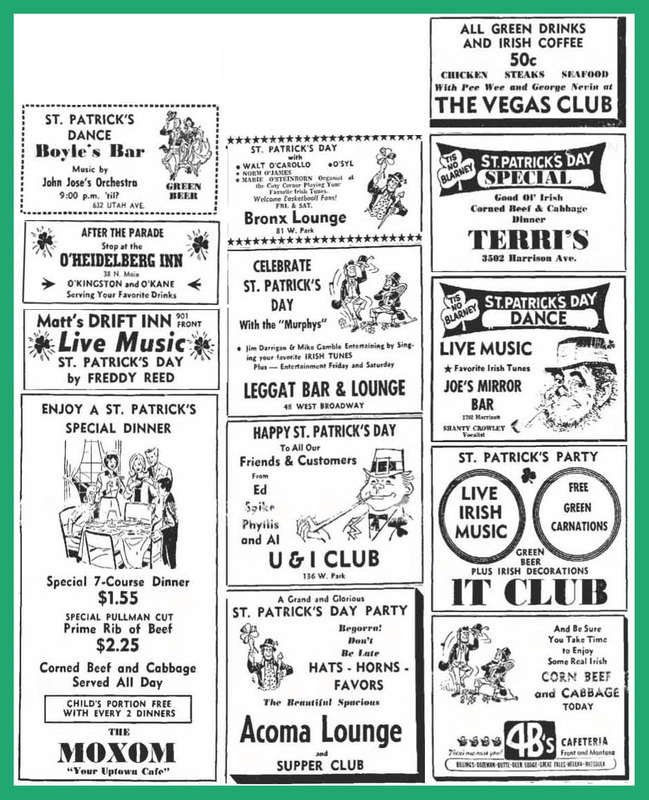 Fun to see the old ad’s and recipe’s! So cool! I just love old ads, they’re so fun to look back and think on!